Have you seen on the news how someone saved a child from death? You surely felt admiration for a person like that. And you surely rejoiced from the bottom of your heart for the child. Think about how it would feel if you were that person. You just saved a kid from an outcome that could have proven fatal. Your heart beats like a drum – you’ve done a good deed. You didn’t do it for the fame, but since you still did it, your pride grows a bit from watching how those around look at you. But how would it have been if you hadn’t saved only one child, but many more. Hundreds. Let’s say 669 kids. Well, if by saving only one child, the entire press writes about you, at such proportions you should become renowned and the entire world should know about you, right? Cause, let’s face it, not even Batman saved so many lives. Such a thing happened to Nicholas Winton. Only that almost no one knew about it. The children and their families never had the chance to thank him directly. He saved them and that was it. What do you think? Here’s a true story with one of the most moving endings. 1 Who is Nicholas Winton? 4 Who are the saved ones? Until about 1907, the Wertheim family lived in Germany. They were Jews and had the inspiration to emigrate to England. They wanted a whole new life without discrimination. They wanted to leave the past behind. So they changed their name to Winton and converted to Christianity. On the 19th of May 1909, in the liberal district of Hampstead, the little boy of the Winton family was born. They named him as British as possible: Nicholas 1)”Nicholas Winton and the Rescue of Children from Czechoslovakia, 1938–1939” in Holocaust Encyclopedia. As Saint Nicholas – the one who secretly brings presents to children, not expecting anything in return. Little Nicholas grew up and became a very serious young man. Instead of quietly finishing high school and enjoying life like any adolescent, he preferred attending evening classes to be able to practice in banking. Before turning 22, he had already worked for several banks in Britain, Germany, and France. He obtained professional certificates, but also directly discovered realities of Europe. Returning to London, he became a stock market broker. But the things he saw happening in Germany disturbed him. He became an active anti-Nazi socialist approaching acquaintances with similar views 2)”The Rescue of the Prague Refugees 1938-39” by William Chadwick, book published by Matador in 2010. Europe began to boil. It was Christmas 1938. The young Nicholas Winton was doing well – was preparing for a skiing holiday in Switzerland. You know, the kind of holiday that you don’t miss for anything in the whole world. But Nazi Germany had just already occupied a part of Czechoslovakia. The situation there was becoming downright dramatic. The European powers easily failed when put against Hitler’s tactics, but not everyone remained impassive. 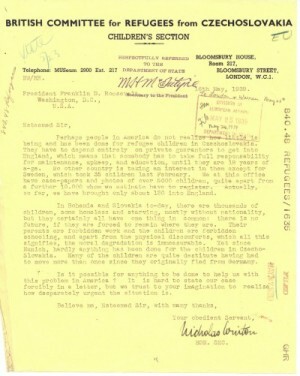 British Committee for Refugees from Czechoslovakia tried to help the people from those parts on the spot. Amongst the British, which arrived in Prague, there was also Martin Blake. 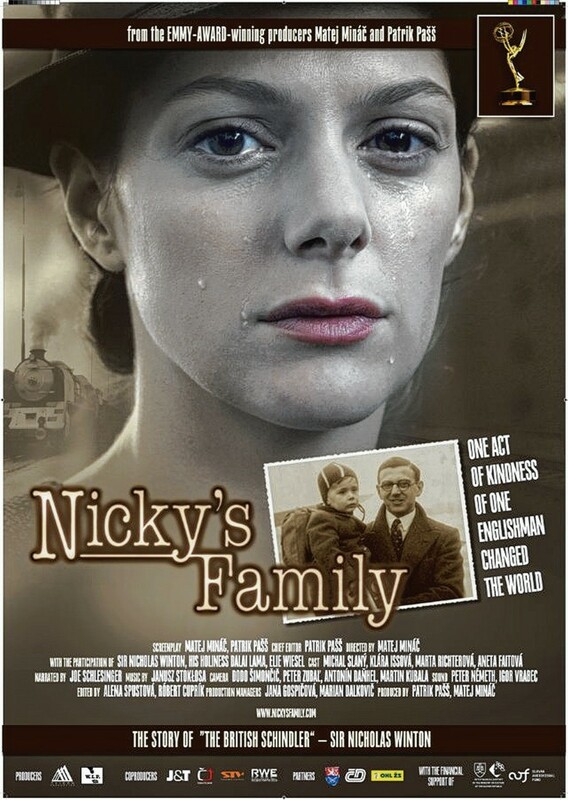 Being one of the socialist friends of Nicky (as those close to Nicholas Winton called him), he telephoned and said he would need his support in helping Jews in Czechoslovakia 3)”Nicholas Winton and the Rescue of Children from Czechoslovakia, 1938–1939” in Holocaust Encyclopedia. That was Nicky’s queue. Farewell, Switzerland! But Nicky was a man of action. There was no time for discussion and bureaucracy. He found it unacceptable that nobody does anything to help refugee children, mostly Hebrew. Something had to be done, so he didn’t stand to think twice. Quickly he created his own humanitarian organization with the stated purpose of doing that. Now, do not imagine too much about the organization. It was mostly a name. Nicholas Winton was not starving, but also didn’t have enough to throw out the window. His organization was placed in a hotel room. But his inner resources were phenomenal. He found out about the operation Kindertransport, through which Jewish organizations from United Kingdom evacuated Jewish children from Germany and Austria. He thought it would be better for him to do the same with endangered children from the territories of the broken Czechoslovakia 4)”75 Years Ago, This British Stockbroker Saved 669 Children From Nazi Death Camps” by Harrison Jacobs, article published in Business Insider on November 27, 2013. He started to receive registrations. But who gives their children to the hands of a stranger?! Nicky was convinced that there was no time to lose. So at first he posed as a representative of the British Committee for Refugees from Czechoslovakia, although he had no permit. It was not long until the queue at his door forced him to move into a bigger, more decent office. He was known as “the Englishman of Wenceslas Square” (although, let’s not forget, he was actually Jewish and it was a great risk for him to remain there). He received thousands of applications 5)”Nicholas Winton and the Rescue of Children from Czechoslovakia, 1938–1939” in Holocaust Encyclopedia. Nicky Winton managed to send a few kids to Sweden, but it was something occasionally. He realized that it wouldn’t work that way, he needed a better solution. He tried sending their children to Britain and the United States. 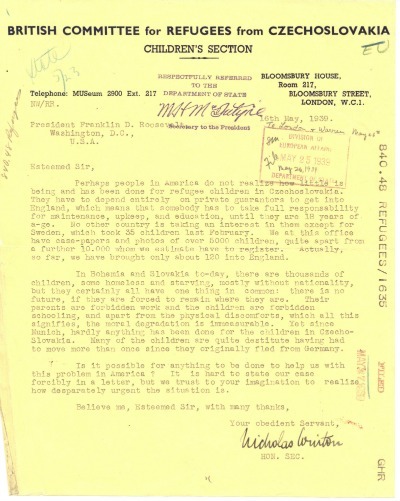 The Americans hope died quickly – the request sent to President Franklin D. Roosevelt on behalf of British Committee for Refugees from Czechoslovakia received negative response, because the immigration law did not permit such a thing. Despite the explicit message showing how dramatic the situation was, they pretended not to understand the whole picture 6)”Nicholas Winton and Refugee Children: A Follow-up to 60 Minutes” by David Langbar, article published by National Archives on April 30, 2014. The only hope was in the UK. Only, he could not simply send so many children. The British government required a guarantee of “only” 50 pounds (which was worth about 3,000 of today’s pounds). So at the end of the leave (remember, all of this was instead of the skiing vacation), Nicholas Winton returned to London to raise cash. And to find families who would promise to take care of children – another condition of the authorities 7)”75 Years Ago, This British Stockbroker Saved 669 Children From Nazi Death Camps” by Harrison Jacobs, article published in Business Insider on November 27, 2013. He did all this in his “free time” after finishing his job at the Stock Exchange 8)”Nicholas Winton and the Rescue of Children from Czechoslovakia, 1938–1939” in Holocaust Encyclopedia. He gave ads in newspapers, wrote articles, contacted all kinds of people who could help, and insisted on officials who offered visas; of course, they did not understand what all the hurry was about 9)”The Rescue of the Prague Refugees 1938-39” by William Chadwick, book published by Matador în 2010. His mother talked with families, asking them for help. The first transport of children was done by plane on March 14, 1939, the day before Germany invaded what remained of Czechoslovakia 10)”Nicholas Winton and the Rescue of Children from Czechoslovakia, 1938–1939” in Holocaust Encyclopedia. He probably thought it was their last chance. But later, he managed to organize eight more train transports, even through Germany 11)”Nicholas Winton: The man who saved children from Hitler” de Joe Schlesinger, article published by CBC/Radio-Canada on June 30, 2014. The irony is that although the Germans allowed transit, the Dutch were initially opposed. It was an adventure convincing them that no child would remain there, and that they have all the guarantees needed to be accepted into the UK. Such shipments are now known as “Winton’s trains”, but at that time he wanted them to be anonymous. Imagine that you are one of those parents tightly holding your children against your chest on a train platform, knowing that it’s likely to be the last time you will ever see them again. You have to help them climb on a train going to a promise, through a sea of great uncertainty. But if you keep them next to you, you’ll probably get crushed together like cockroaches. And you have to choose. It’s the only chance they have of survival. The last train left Prague on August 2, 1939. One more should have departed on September 1, but the borders were closed the day before 12)”75 Years Ago, This British Stockbroker Saved 669 Children From Nazi Death Camps” by Harrison Jacobs, article published in Business Insider on November 27, 2013. The exact number of children rescued nobody knows, but the most probable count would add up to 669 13)”Nicholas Winton and the Rescue of Children from Czechoslovakia, 1938–1939” in Holocaust Encyclopedia. 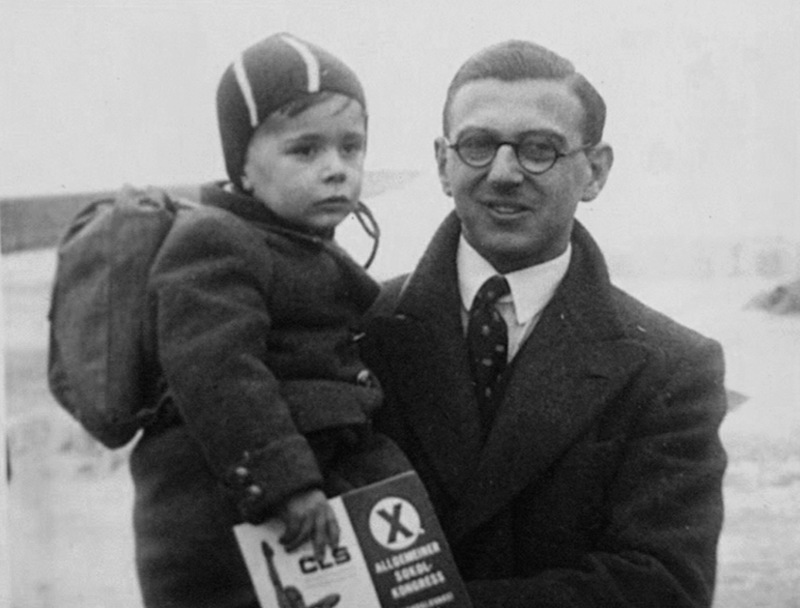 Most of the 251 that were supposed to have boarded the last train did not make it to the end of the war 14)”Nicholas Winton: The man who saved children from Hitler” by Joe Schlesinger, article published by CBC/Radio-Canada on June 30, 2014. Wonderful! Only a few knew what Nicholas Winton did, and then followed the war and… life went on. After the war, he did not brag about his merits. He didn’t even say a word about these extraordinary deeds. He did, however, do other good deeds. All his life was dedicated to helping those in need. During the war, he was a Red Cross ambulance driver. He worked for many charities. In the 50s he founded Abbeyfield, an organization that came to have hundreds of nursing homes. He got involved in The Royal Mencap Society, which dealt with children with mental disabilities 15)”Nicholas Winton: The man who saved children from Hitler” by Joe Schlesinger, article published by CBC/Radio-Canada on June 30, 2014. And all this in addition to work and family life! It’s been half a century. Until, one day, history shook the dust. Grete, Nicholas Winton’s wife, was cleaning the attic. She found a box that was forgotten there since who knows when. She opened it, curious about what could be inside. She was astonished: it was all that forgotten documentation from the operation designed to rescue the children. He didn’t even tell her what he had done 16)”Nicholas Winton: The man who saved children from Hitler” by Joe Schlesinger, article published by CBC/Radio-Canada on June 30, 2014. Grete could not let this go. She realized that this is not a common story, but one that can move many hearts. So she took it to Dr. Elisabeth Maxwell, a Holocaust historian and wife of media mogul, Robert Maxwell. Such a topic could not have been missed. In 1988, exactly 50 years since it all began, the filmmakers of the show “That’s Life” from BBC prepared a surprise for Nicholas Winton. There are no words to express that, you have to see to believe. And you’d better sit down. Sure, only a few of those saved were present. Maybe it would have been too much for all of them to be there. How much emotion can an 80 year old man take?! With his incurable modesty, Nicholas Winton said he couldn’t have done anything alone. He explained that he was helped by Beatrice Wellington, Doreen Warriner, and Trevor Chadwick. He even considers that the last person mentioned deserves all the praise, because he is the one who remained in Prague as liaison, and taking risks. Who are the saved ones? Who are these people? How were their lives? Most were orphaned in the Holocaust. They remained in Britain, grew up, and continued their lives like any ordinary people. Only that they were carrying some extra scars on their souls. 669 children are more than a school. Their destinies were as diverse as possible. But some had become outstanding people. Have you seen the movie The French Lieutenant’s Woman with Meryl Streep and Jeremy Irons? It received five Oscar nominations. You wouldn’t have had a chance to see it if Nicholas Winton had chosen in 1938 to go skiing in the Alps. Because the famous film director Karel Reisz was one of those kids rescued from Czechoslovakia. He was 12 then 17)”Karel Reisz” în Wikipedia. Baron Alf Dubs was saved from Czechoslovakia at the age of only 6. However, he had the good fortune to have his real parents join him after a few months. He became a member of the Labour Party and a Member of Parliament 18)”Alf Dubs, Baron Dubs” in Wikipedia. He was one of those who sustained that Nicholas Winton become a Knight. Which did happen in 2002 19)”(Supplement) no. 56797“, published by The London Gazette on December 31, 2002. Joe Schlesinger became a noted journalist. He returned to Czechoslovakia after the war, but emigrated to Canada when he saw that the country was seized by the communists. He is the narrator of the documentary Nickyho Rodina (Nicky’s Family), a film about those extraordinary events 20)”Joe Schlesinger” in Wikipedia. When you help a child, you never know whom you help. What if you change the world? Renata Laxova became an Emeritus Professor in Genetics at the University of Wisconsin-Madison, United States. She has done world-class research 21)”Renata Laxova” in Wikipedia. Heini Halberstam became a doctor in Mathematics, with significant results in this area 22)”Heini Halberstam” in Wikipedia. 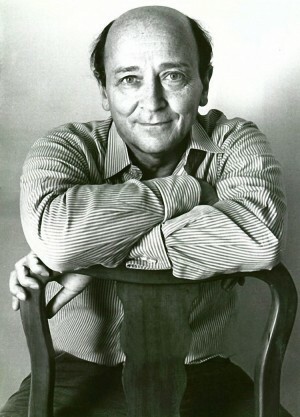 Tom Schrecker became the head of publisher Reader’s Digest, he was one of the culprits in charge of it spreading worldwide. Vera Gissing, who thanked Nicholas Winton first on the TV show “That’s Life”, became a translator and writer. It is estimated, considering their children also, that already more than 6,000 people would not have existed without the intervention of Nicholas Winton 23)”Nicholas Winton: The man who saved children from Hitler” by Joe Schlesinger, article published by CBC/Radio-Canada on June 30, 2014. Sir Nicholas Winton is the prototype of the strong man. By his character. Even more than you can imagine. The broadcastings in 1988 turned him into a legend. People around the world were impressed by what he did. Even the Dalai Lama is among his declared admirers. Sir Nicholas Winton exceeded 100 years. Celebrated his centenary with a flight in an ultra-light airplane. He entrusted his life in the hands of Judy Ledeni, world champion, daughter of one of the saved boys. On 1 September 2009, from Prague, once again, Winton’s train started its departure. It was a train like those in the 30s, exactly 70 years after the last train led by Nicky could not leave 24)”Winton Train” în Wikipedia. Only this time the passengers weren’t children taken from harm’s way, but some of the children who survived (now octogenarians) and their children. It was a celebration of life, but especially a celebration for the man who did what no one else had started doing. Sir Nicholas Winton did not miss such an event. The train traveled exactly the same route. It was a minimal restoration on behalf of 251 children who could not be saved. Only because they were one day late. Sir Nicholas Winton is highly valued in the Czech Republic. From 2013 Czech students annually proposed him for the Nobel Peace Prize, gathering thousands of signatures. And even if he did not receive this award, on October 28, 2014 he received the highest Czech award: Order of the White Lion. And Czechs astronomers have named a planet Winton. 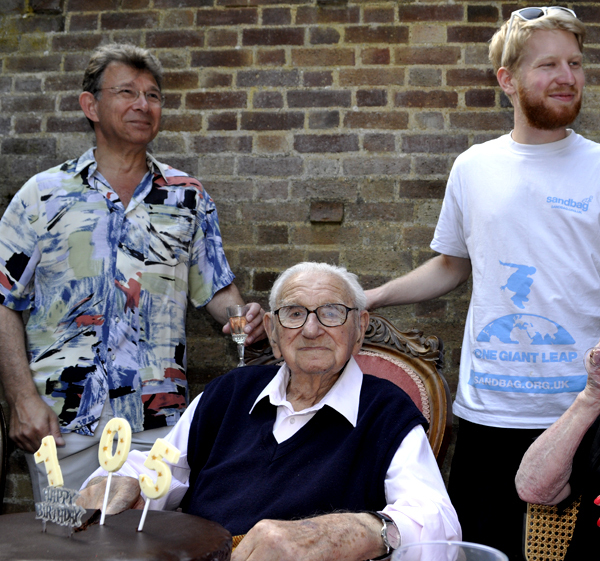 At the age of 106, Sir Nicholas Winton seems immortal. Most of the rescued children had naturally paid their dues to this world. But Nicky has more work to do – to speak to the people through interviews and speeches about how important it is to help your kind at the right time.